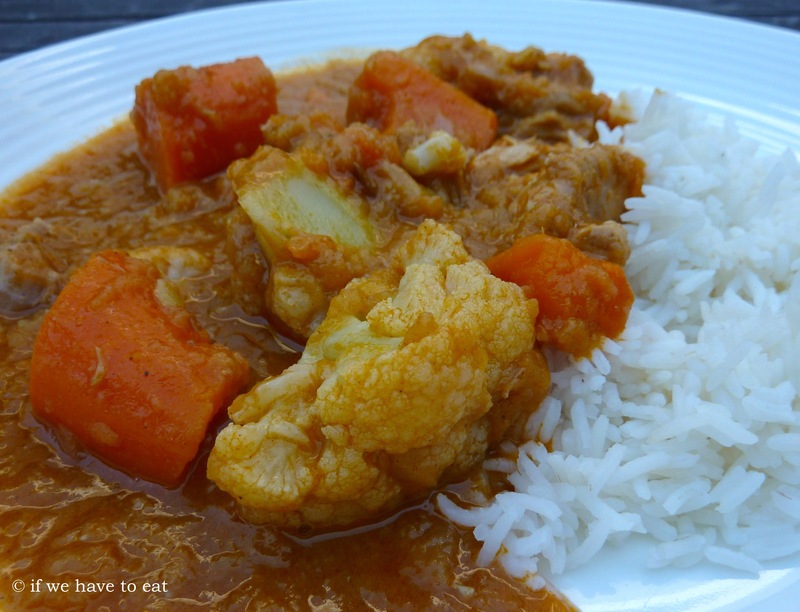 Japanese curry is a favourite of ours, but I’ve never tried to make at home. I decided to have a go using the Thermomix as it works well for many of the steps in the recipe – like making the roux and puréeing the apple. This recipe is based on one that I found on a blog called No Recipes and I’ve converted it for the Thermomix. My curry sauce wasn’t as smooth as it should be (but still tasted fantastic), so I’ve labeled this version 1 and I’ll adjust the recipe some time soon. When making the roux, put the ingredients around the blades and avoid the centre of the bowl so that they can mix together properly. This entry was posted on September 1, 2013 by ifwehavetoeat in Mains and tagged Feed a Few, Mains, Make Ahead, Poultry, Recipe, Thermomix.